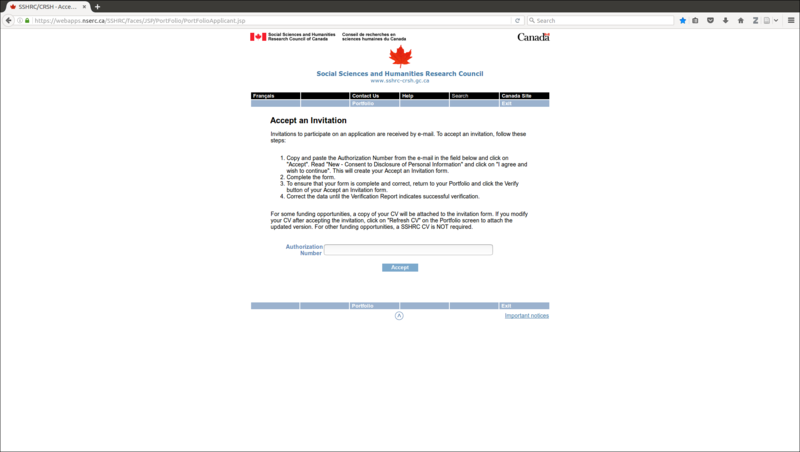 This is a quick guide for my non-Canadian partners on how to accept an invitation to participate in a SSHRC application. 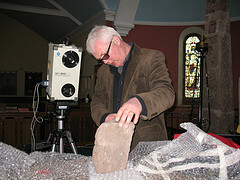 You will need the highlighted invitation number later. 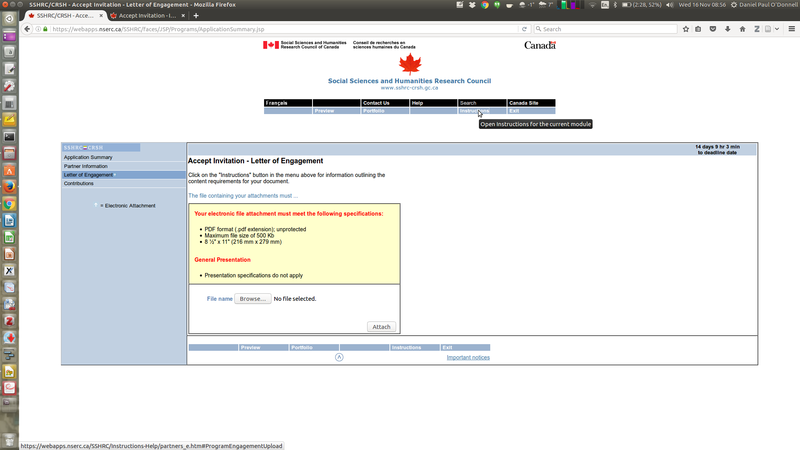 First click on the login/register link and set up your account with SSHRC or log in (if you already have one). If you are setting up a new account, keep the password memorable: it is difficult to get a reminder if you forget. 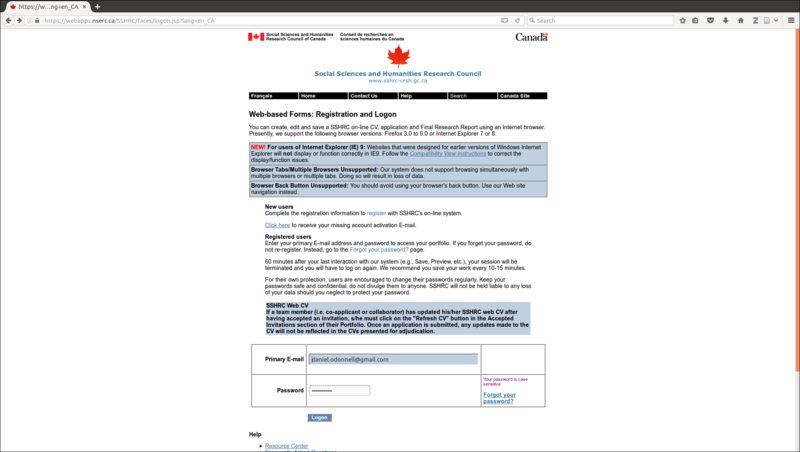 After you have registered and confirmed your registration (SSHRC sends an email to confirm), you need to sign in using your SSHRC user name and password (i.e. the one you just set up). 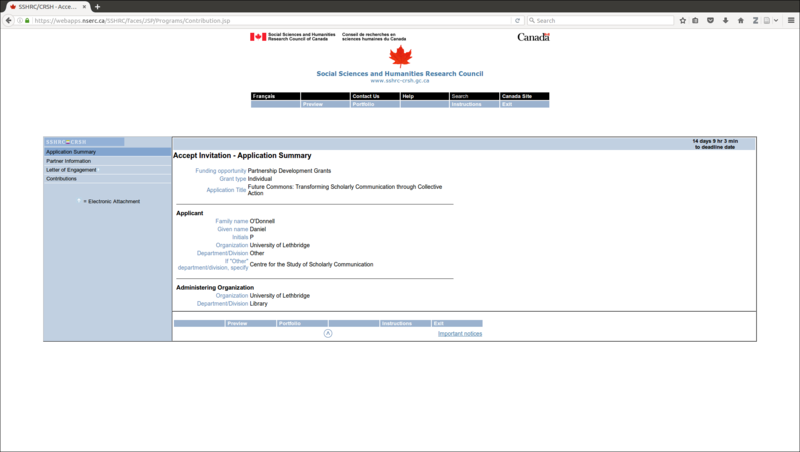 Scroll down to the button that says “Applications”: click on it and select “Accepted invitations” (you will need to do this in the future when you want to access your application again). 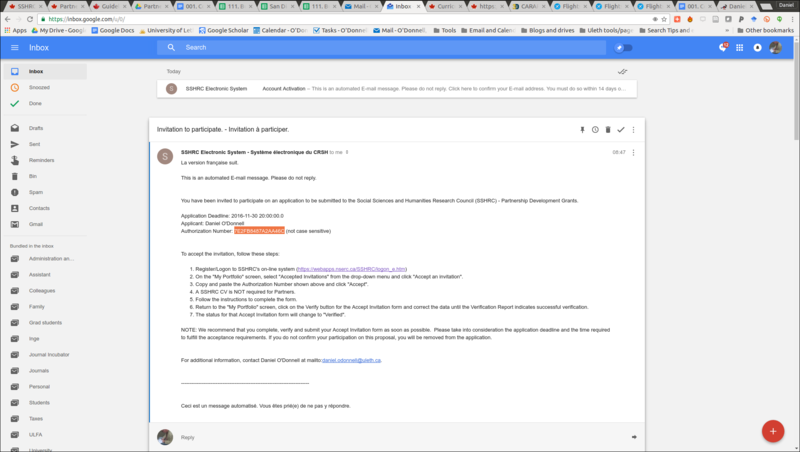 Clicking on the “Accept an Invitation” link will take you to the authorization page, where you can paste the authorization number from your original email. 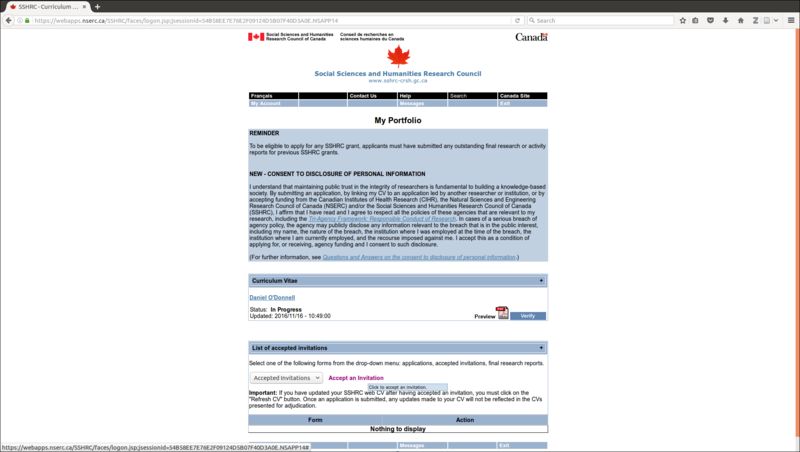 The next screen is the summary screen for the application you have accepted. Exactly what options are available to you depends on the nature of your participation. 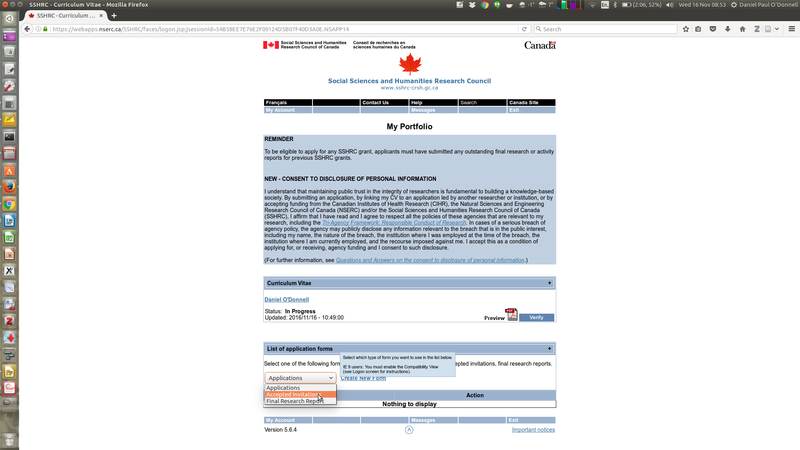 The following screenshot shows a summary screen for the representative of a partner organisation. Clicking on “Instructions” in the menu tabs at the top of the page under the colophon will open a context-sensitive instructions page in a new tab. 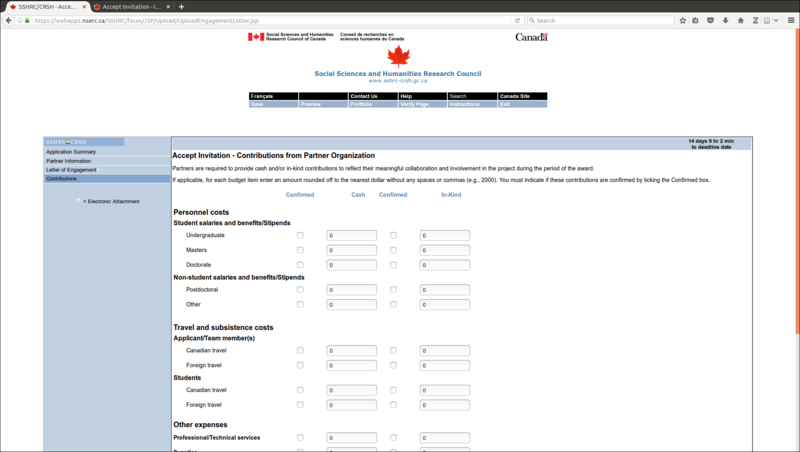 Partners need to fill in all three sections: Partner Information (an online form), Letter of Engagement (an upload PDF), and Contributions (an online form).